No, they’re not selling the the iPad Mini and the iPhone 5 early in China. They’re lining up to build it. Meanwhile, the Foxconn plant in Zhengzou is seeing a deluge of eager applicants. Sources reveal that these workers will be working on the iPhone 5. According to reports, the plant has already produced 5 units of the iPhone 5 on a trial production run. 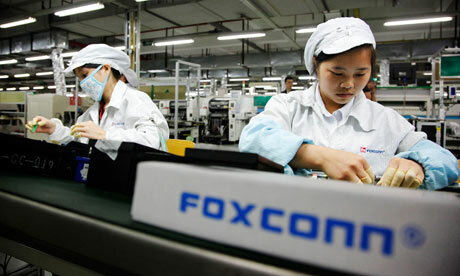 The number of people lining up for jobs at Foxconn is a bit of good news for the company considering that it was recently under fire for the “mistreatment of factory workers assembling Apple products in China.” Despite those reports, there’s still a lot of people excited to be part of the company and help churn out iOS devices. Apple has yet to unveil any official details on the iPhone 5 and the iPad Mini but rumors suggest that they will be coming out at the same time sometime between September and October of this year.